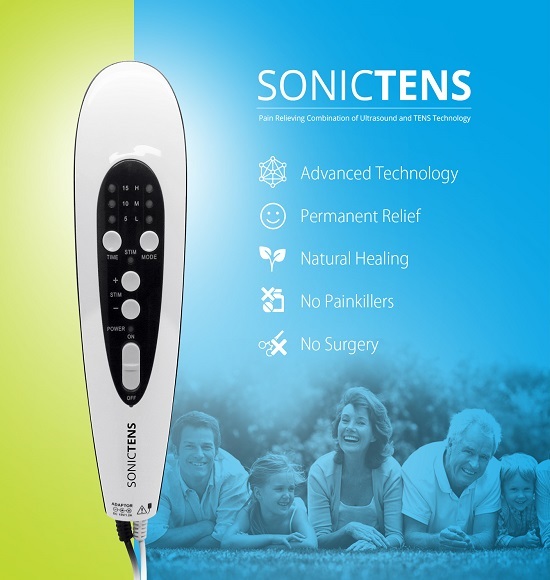 The SONICTENS combines the two most proven electrotherapies for pain relief – Ultrasound with TENS – into one compact and sleek device. 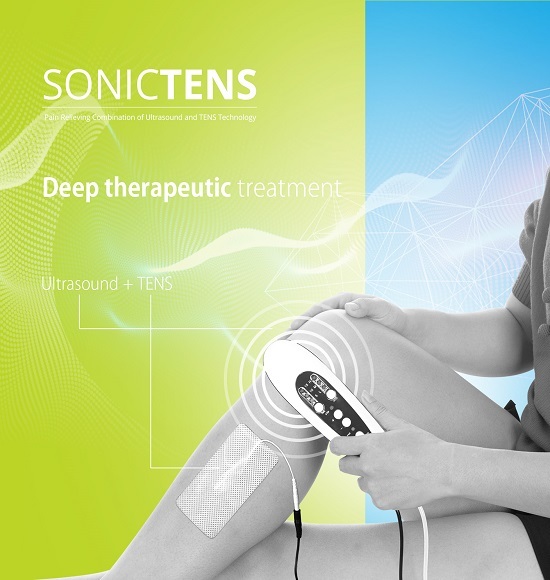 Deep heat from the therapeutic ultrasound, and TENS therapy, can be used simultaneously to help patients treat chronic and acute muscular pain faster. It naturally heals Upper and Lower Back Pain, Muscle Atrophy, Muscle Cramps, Spasms and Strains, Post Operative Recovery, Pain from Herniated Discs, Arthritis Pain, Sciatica Pain, Tendonitis, Heal Pain, Wrist Pain, Bursitis, Hip Pain, Piriformis Syndrome, Tissue damage due to hip dislocation or fracture and Lumbar Pain. 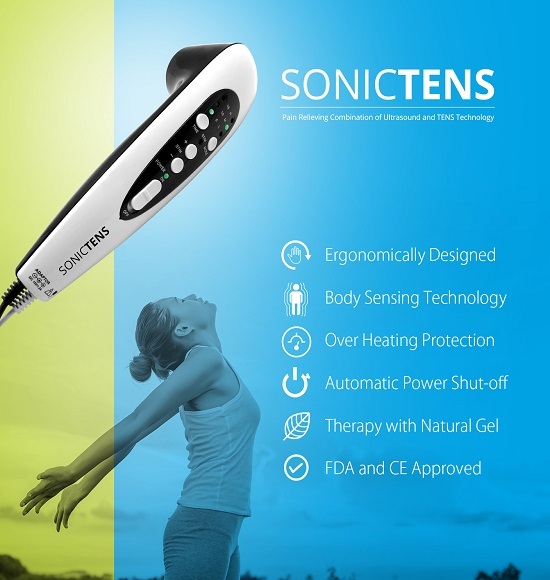 The SONICTENS combines the two most proven modalities, Ultrasound with TENS technology for pain relief into one compact sleek device. 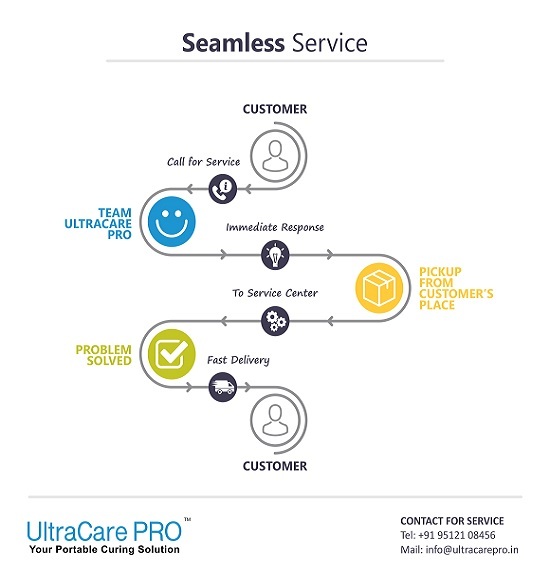 Deep heat from the therapeutic ultrasound and TENS therapy can be used simultaneously to help patients treat chronic and acute muscular pain. Our new innovative design features an increased duty cycle of 50% with three easy-to-use mode presets, plus 30 mA of TENS therapy. This versatile portable unit comes with Instruction manual, Electrode, Lead wire, AC adapter and NatureCure gel for clinical or mobile use. 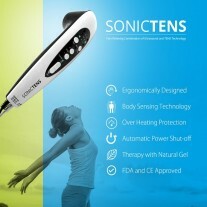 SONICTENS- How does it work? 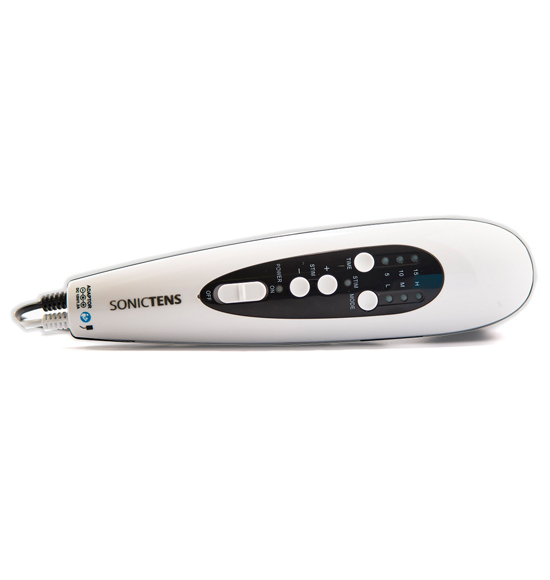 SONICTENS head emits ultrasound waves and also act as a second electrode of TENS therapy. 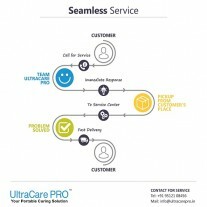 Hence at particular pain point, Ultrasound and TENS therapy can be applied at a time. releases massaging electrical pulses that increase the endorphin -the body’s natural painkiller. 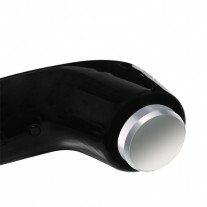 ailments such as arthritis, sciatica, back pain, neck pain, ankle pain, wrist pain and much more. We’ve discovered that using cold therapy in combination with SONICTENS speeds healing and reduce pain FAST! 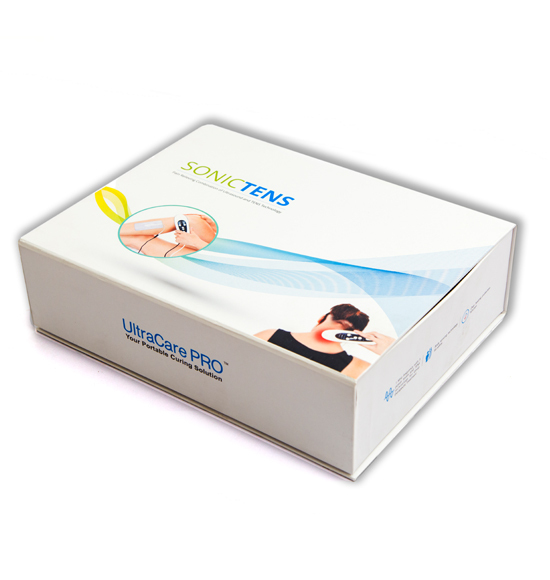 Use ultrasound with TENS to treat the affected area for 10-15 minutes daily. Using an elastic medical bandage, wrap the area to help decrease swelling and internal bleeding (if present). The wrap should be comfortable but make sure you have proper circulation. Some sign that the bandage is too tight include numbness, tingling, increased pain, coolness or swelling. 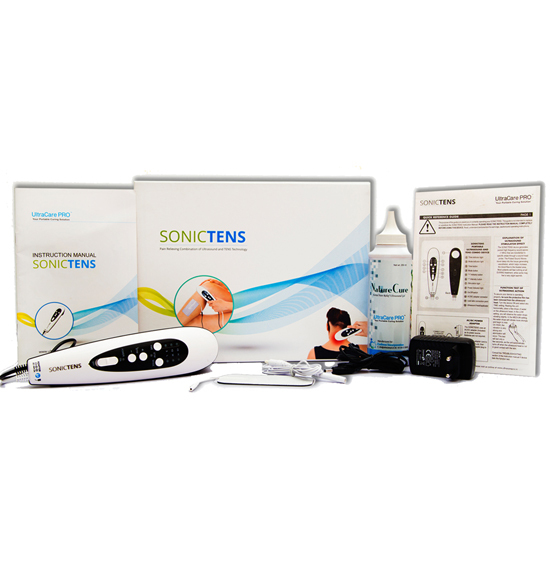 In total, treating with SONICTENS & cold therapy will take you only 20-35 minutes a day. So next time you’re sitting down to watch a TV show, take out your SONICTENS device & cold pack and heal the injury while relaxing at home! 1. 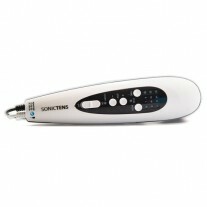 What is included in SONICTENS kit?